The Davida Classic retains all the original design features of the 1950’s “Pudding Basin” crash helmet. Manufactured using traditional materials and techniques, and hand-built with exacting regard to quality. Neat and compact in design, it is an authentic example of the first helmets specially manufactured for motorcycle racing. 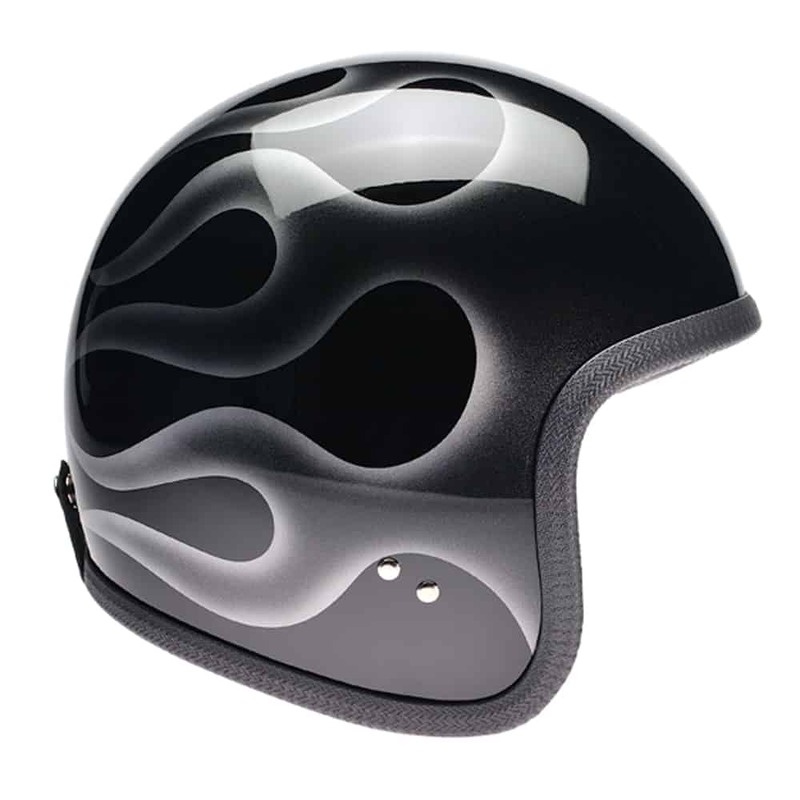 The Davida Classic helmet has a fiberglass shell, and leather interior, side flaps and neck curtain. Retaining all the original design features of the 1950’s low dome racing helmet. 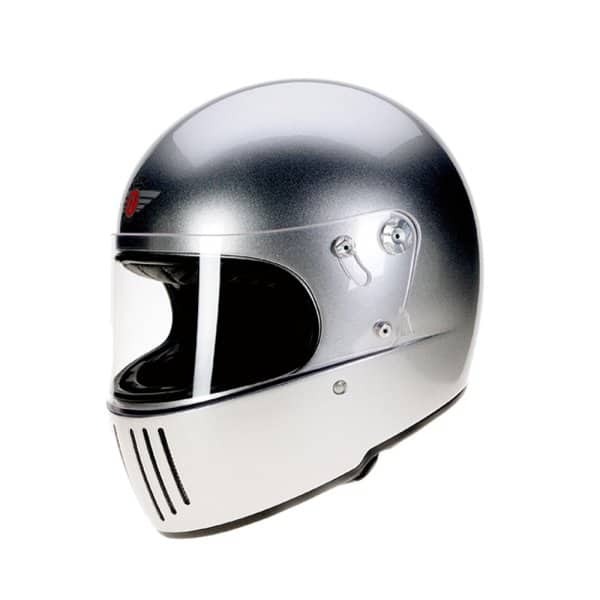 It is an authentic example of the first helmets especially manufactured for motorcycle racing. Neat & compact in design, it is a hand-built product of exceptional quality. 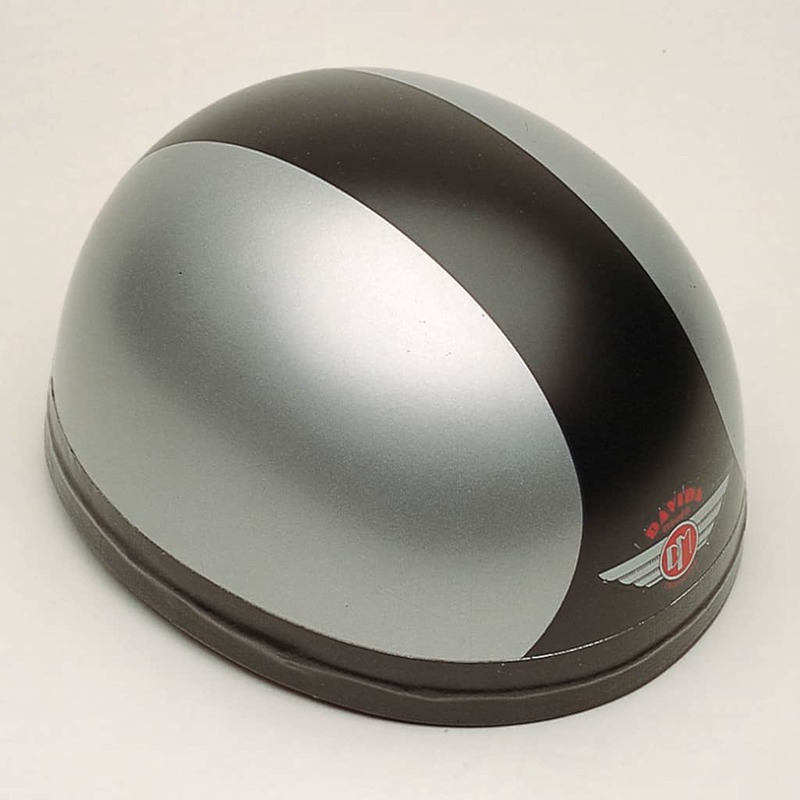 FIBERGLASS SHELL: To achieve the authentic low dome shape of the original 1950’s racing helmets the initial shell model was hand sculptured using time honored modelling techniques in Chavuant Clay. TRADITIONAL INTERIOR: Made faithfully using traditional materials & manufacturing techniques the cork shock absorption liner is fixed to the interior of the shell. The adjustable internal cotton webbed harness & adjustable leather lining are lock-stitched to the full circumference of the shell. SIZING: An additional self-adhesive sizing strip is supplied with every helmet which can be fixed around the internal rim to reduce the size & achieve a personal fit. RACING SERIES: Honoring the racing achievements and celebrating the spirit of the Classic Racers from around the world. Passionate about classic bike racing and keeping race track helmet art alive we recreated original historic racing colors of 17 champions from around the world on the Davida Classic Helmet and launched the Racing Series.